We get excited about all our projects, but this is one of those that really gets us excited because it brings together nicely all our skills: rigorous statistics and data visualization, and interactive software. This is really what data science is all about. We were asked by a home manufacturer to build a predictive web app that could be viewed on different devices and predicted the likelihood of homeowner default. 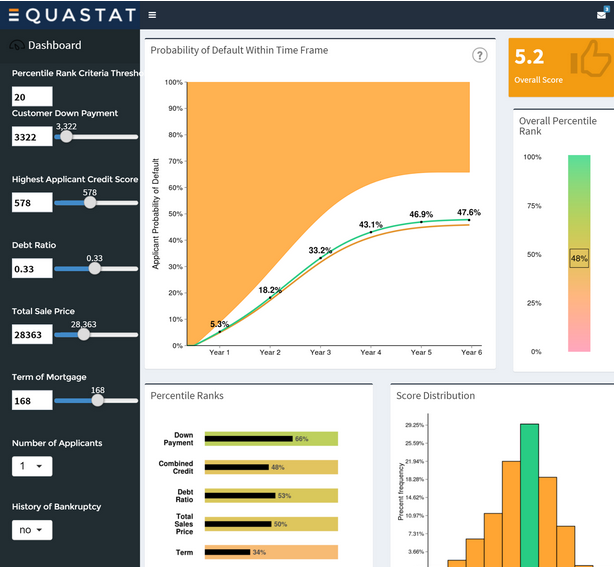 Using advanced predictive survival analysis and one of the main the languages (HTML/CSS/JS) of the web, we were able to build a pretty slick interactive web app that enabled our client to better help homeowners select the best home. The application is hosted on AWS for flexible deployment and maintenance and similar to our other frameworks uses the latest technologies (e.g., ASP.NET MVC, Twitter Bootstrap CSS).